Prior to European-Canadian settlement and the establishment of this estate, the Grand River – with its rich natural resources – was an attractive place for Aboriginal occupation, especially during the period from 8000 BC to AD 1000. The Ruthven property formed part of the Lower Cayuga settlement. The Cayugas are one of the Six Nations Iroquois who, as Loyalists during the American Revolution, were granted lands along the Grand River by Governor Haldimand in 1784. A Cayuga longhouse stood at the location of the 1845 estate house earlier in the 19th century. There may have been at least six Cayuga dwellings nearby and additional Cayuga houses to the south near the riverbank. In 1832, David Thompson (1793-1851) settled in this location on the Grand River. 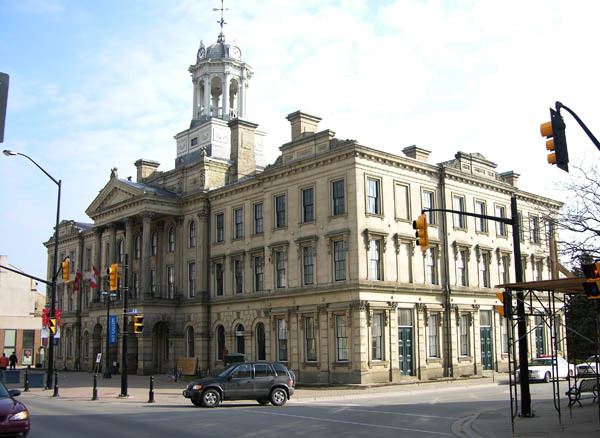 Thompson, a wealthy local businessman and politician, had served as an officer in the War of 1812 and was a contractor on the first Welland Canal. He was also a business associate of William Hamilton Merritt, the main promoter of the Welland Canal and later the Grand River Navigation Company (GRNC). Thompson established a number of mills on the Grand River that attracted settlers to what became the village of Indiana. He then began clearing nearby land that became the Ruthven estate in the early 1840s. The main house was probably ready for occupancy by 1846. With the arrival of the railway in the 1850s, the GRNC declined. Although Thompson's mills and the village of Indiana, which were dependent upon the prosperity of the GRNC, eventually disappeared, the family continued to occupy and maintain the Ruthven estate. 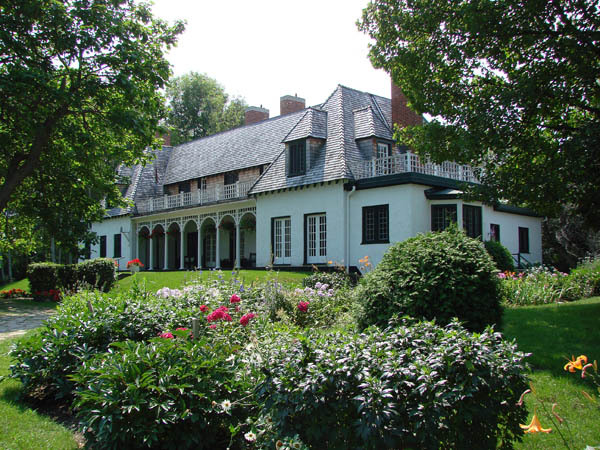 By the beginning of the 20th century, it was used as a country retreat by the Thompson family. The estate remained in the family until 1992 when it was acquired by the Lower Grand River Land Trust with 1,600 acres (648 hectares) of rural land. Ruthven stands as a rare surviving example of that romantic combination of Classical architecture and picturesque landscape that characterized country estates of the late 18th and early 19th centuries. It was designed in the Classical Greek Revival style by an American expatriate, architect John Lapshaw of Drummondville. The main house is constructed of Ohio limestone and measures 45 feet by 40 feet across (14 meters by 12 meters). It features a five-bay symmetrical composition with a high basement, two floors and an attic, limestone ashlar with squared bush-hammered stone, and an almost square plan fronted by a 30-foot high portico (9 meters) with wooden Doric columns and full Doric frieze and pediment facing the river. The shallow hipped roof has pairs of prominent chimneys ornamented with Greek Revival motifs. Sidelights and a flat arched transom frame the main entrance door. A south porch off the east wing has four Doric columns, entablature and wooden balustrade similar to the temple front of the main elevation. The house was enlarged at the back in the 1865. Interior features include Greek columns, Italian marble fireplaces, 15-foot (5-meter) ceilings and a spiral staircase that climbs three floors under a skylight. Agricultural buildings on the estate were arranged around an enclosed rectangular yard close to the main house. The coach house is an L-shaped building south of the main house and constructed of random-coursed rubble stone. 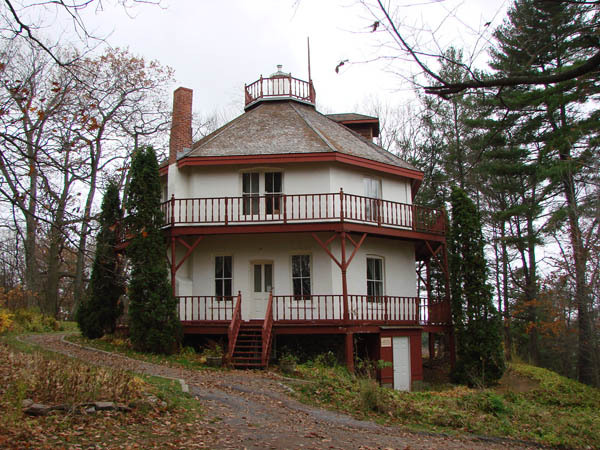 It has a gable roof with a louvred cupola. The gatehouse is a red brick structure. A family cemetery is located south of the main house along the river. Ruthven's value as a Greek Revival villa is enhanced by its simply designed, 19th-century picturesque landscape. The gatehouse, main house and secondary buildings are linked visually by a landscape of lawns, groves of trees and gently curving tree-lined driveways. The property contains part of a Provincially Significant Area of Natural and Scientific interest, the North Cayuga Slough Forest and a Provincially Significant Class III Wetland – Young's Tract Area #2. The building was designated a National Historic Site in 1995. 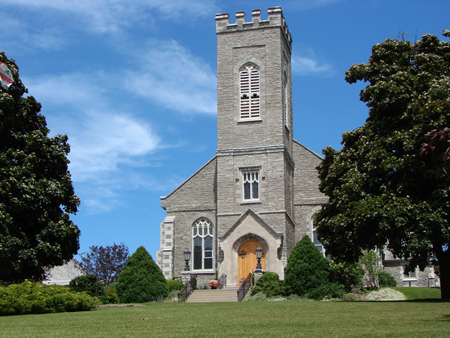 The Ontario Heritage Trust secured a heritage easement to conserve the building in 1996, and the Town of Cayuga designated it under the Ontario Heritage Act in 1998.